We are very excited to be returning to CONjuration this year after a wonderful first year attending. Along with a few of our international actors, we will be bringing a troupe up from Orlando to perform a nerdy cabaret with some of your favorite show-tunes re-written to feature all sorts of fandom related characters. And, of course, we will be returning with a brand new Death Day Players Murder Mystery. Bring your best scrunchies and grunge outfits, this all-new magical Murder Mystery is set in 1987 and will sure to be a rocking good time. We premiered our first Death Day Players show at CONjuration last year, and cannot wait to be back with this one after a year of developing this troupe and performing local mysteries in Orlando. We can't wait to share the Death Day of Jules Wood with you all! Get ready to rock out with Dementor's Kiss, and keep an eye on our social media as we will be releasing some trivia about the band. 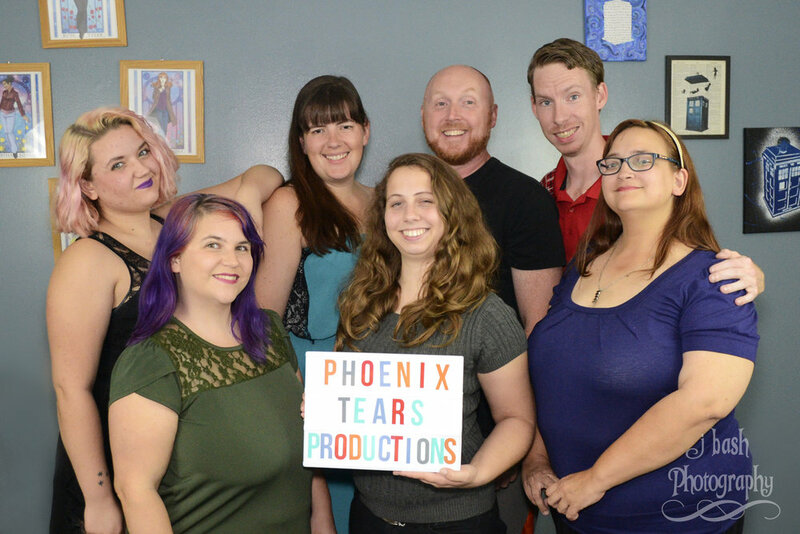 We also have a panel this year, so if you are interested in talking with the women behind Phoenix Tears Productions, join us for Producing Fandom Performances. "Join the creative minds behind Phoenix Tears Productions for an in depth discussion about creating fandom content and performances for conventions and a home audience. Topics range from writing filks to discovering new fandoms to rehearsing over Skype to renting Muppet vans for travel. Bring all of your burning questions about producing shows and we will endeavor to answer as many as possible." Keep an eye on CONjuration's website as the schedule should be posted there soon, but you can find the times we are performing below. Meet the Cast Coming to CONjuration!